Holy heck! Put it in my mouth! A gorgeous use of wild garlic – I need to head into the garlic woods near here soon! Oh you must Andrea! Wild garlic is definitely my favourite wild food of the spring. Thanks Kim – the colour is glorious isn’t it? Heavenly bread Vanesther!! 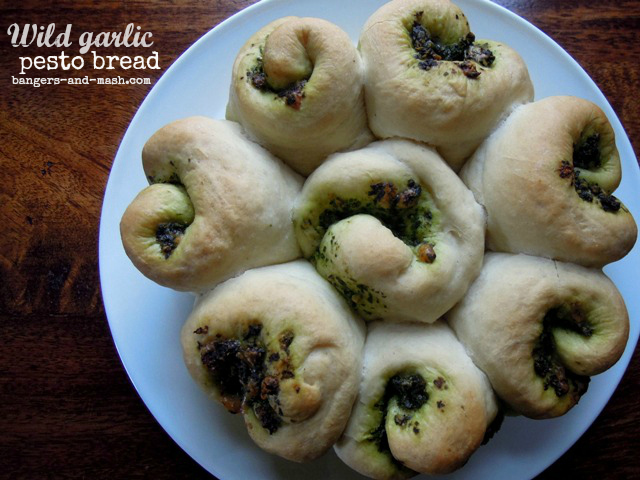 I adore pesto in any shape or form and regularly tops my pizzas but hadn’t thought of adding it to bread dough, lovely idea. My kids would so love this too. Very jealous of your wild garlic supply, unbelievably I’ve failed to source any here in our new rural Herefordshire surroundings. Shall be my mission again next year!. Thanks Vohn. 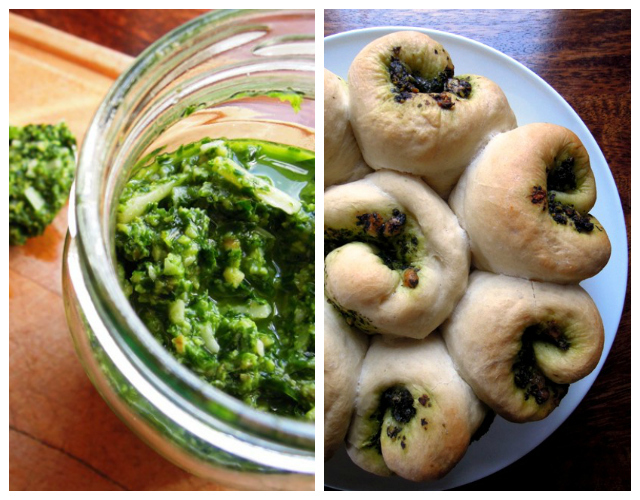 I’m sure just about any other type of pesto would work just as well too.